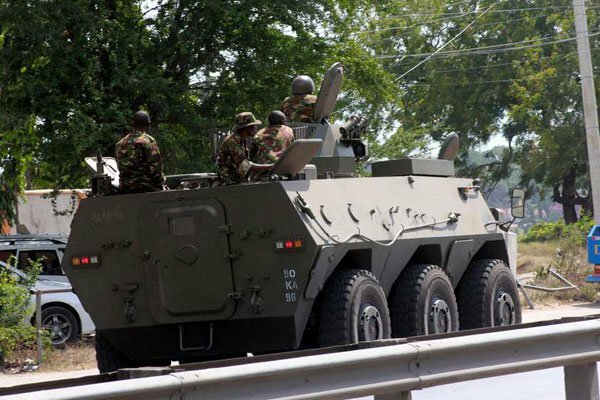 After a break during the just concluded elections, the Kenya Defence Forces on Sunday, 20 August resumed bombing Boni Forest in Lamu, the hideout of Al-Shabaab militia. The forest has been home to one of Al-Shabaab’s elite groups, Jaysh Al-Ayman, one of Al-Shabaab's elite groups have camped in the forest since 2012/13 after the launch of Kenyan soldiers to Somalia. Local residents reported hearing loud blasts from inside the thick forest and sounds of explosions and military planes could be heard from as far away as Garsen town in Tana River County. I call on locals who are still living inside or near the forest to vacate. The bombing of Al-Shabaab hideouts in the forest will begin anytime soon or I can say it’s happening now. The kind of bombing that will happen will be too hot for anyone to stay inside. I am aware that some herders have for several times been spotted grazing their animals inside Boni forest and its surrounding areas.We will bomb the forest in a very short while and that’s why we are asking those around to move out. We are coming for the Al-Shabaab with a more serious force than ever before. If you don’t move out, we will bomb you and you won’t blame anyone. He warned those leaking government information to the terrorists that they will face severe consequences. "If you give al Shabaab food and information, even if it is your son, father, brother or uncle, do you think we will care?" "These people kill innocent people and you go ahead to assist them? We will hunt for you just like we do al Shabaab," he warned. He said they have several terror suspects in their custody and will take them to court soon. The Linda Boni Operation to kick out Al-Shabaab militants was launched by the late Interior Cabinet Secretary Major (retired) General Joseph Nkaissery on September 15, 2015. No. You Are Not The Best She Ever Had. She Lied.